NOTE: Please bring a networked device – a computer, phone, tablet, etc. In this piece, Sébastien and Tim explore mobile technology as a medium for sound diffusion. 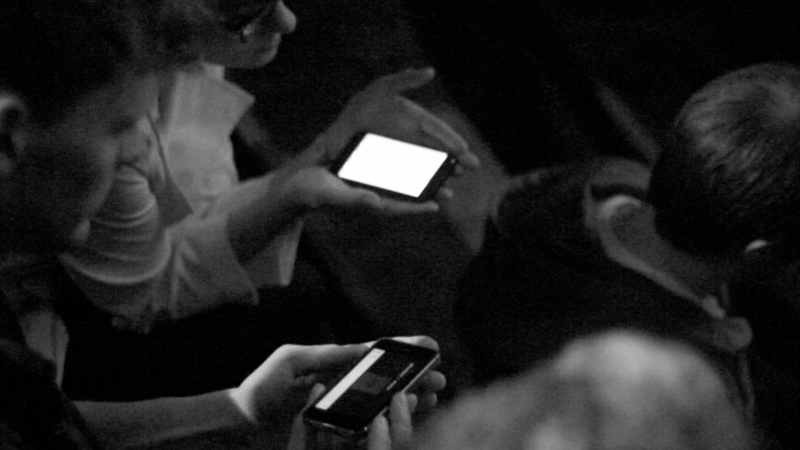 Audience members can join in by simply connecting to a specific website with their mobile phone, laptop or tablet. The connected devices become an array of speakers that the performers can control live, resulting in an omni-directional sonic experience. 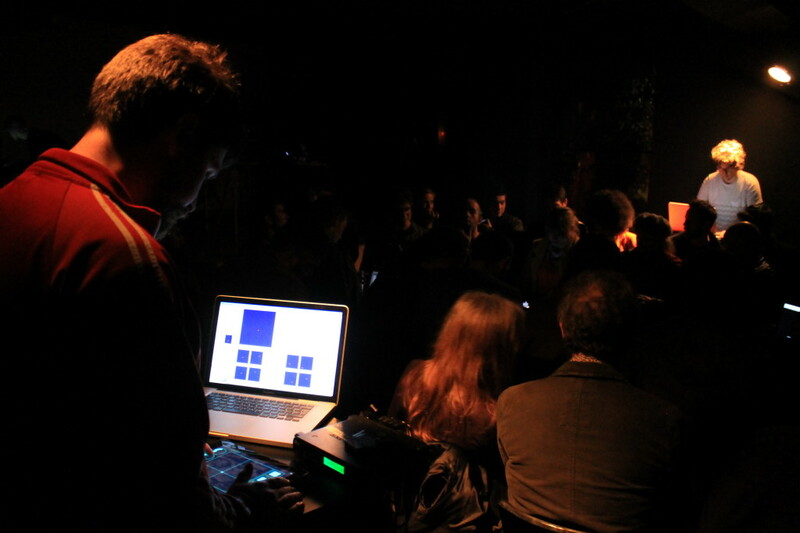 This project provides an alternative method for sound spatialisation as well as offering new ways in which audiences can engage in sonic works. Fields has been performed in Helsinki, Berlin, Athens, Lisbon and Newcastle. In a workshop afterwards, Tim and Sebastien will introduce participants to using Fields as a performance or installation tool. We will cover technical aspects such as setting up, configuration and customisation of the system. We will also share experience gathered from a year of composing for tiny mobile phone speakers, trying different audience configurations and dealing with latency and other technical limitations. The workshop will allow for participants to create their own work using Fields and will culminate in a listening session and an open discussion. Tim Shaw has worked internationally as a professional composer, performer, sound designer and researcher. His practice incorporates diverse approaches to sound capture and processing, and includes creating immersive and site responsive sonic installations. His compositional methods include field recordings, synthesized sounds and live electronics, providing a wide scope for creative diversity. At the heart of his work lies a concern with the auditory reflection and mirroring of real world environments through sound and technology. He is currently studying a PhD in Digital Media at Culture Lab alongside managing Newcastle based record label Triptik. Tim has created commissions for Warp Records, The British Council, The British Science Association, Pacitti Company, Tender Buttons and Transform Festival. Sébastien Piquemal is a computer engineer, obsessively exploring the artistic capabilities of machines. After working several years as a full-stack web developer in Helsinki, Finland, he decided to dedicate himself fully to making music. Since then, he has been an active contributor to the open-source software community, leading various projects such as WebPd (Pure Data patches running in the web browser). As a lover of Jazz and improvised music, Sébastien is seeking new ways to place human interaction at the core of live music. He is presently doing a MA degree in sound in new media at Media Lab Helsinki.